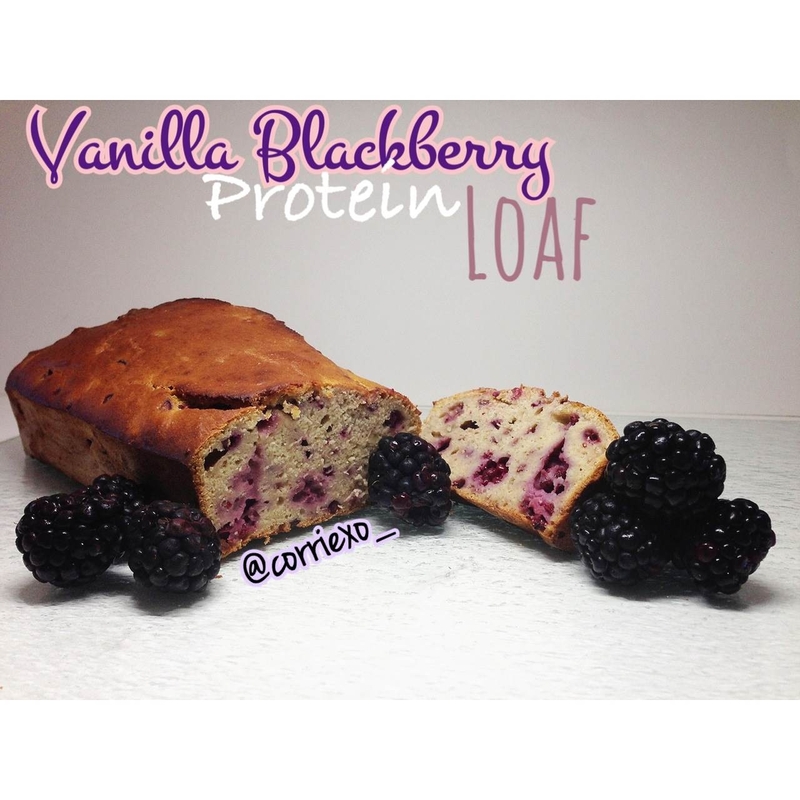 A delicious and healthy bread with a kick of protein in it. Pre heat oven to 375. Mix wet and dry ingredients separately, combine both in one large mixing bowl. Folding in blackberries slowly. Add mixture to greased load pan and let bake.